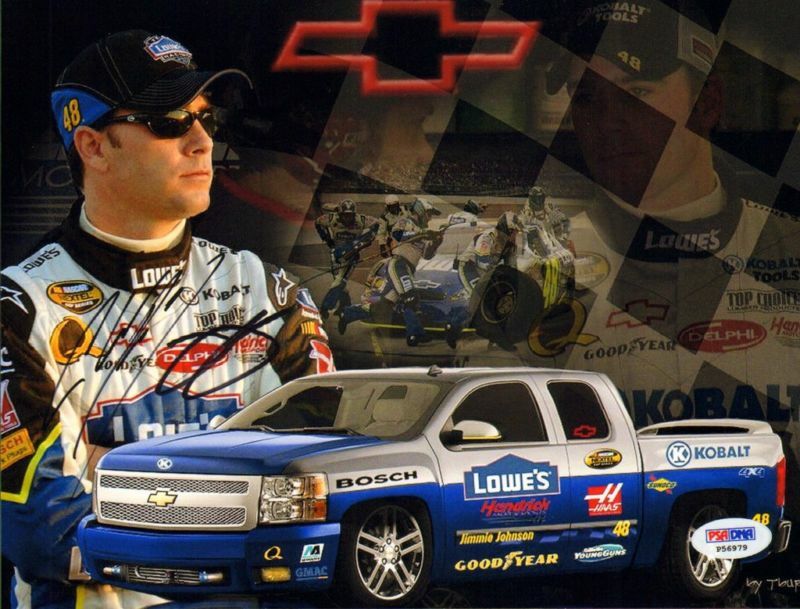 NASCAR driver, Jimmie Johnson, is one of the most accomplished, modern day, race car drivers in the world. A multiple time champion in the Sprint Cup series, he has also received the Driver of the Year Award on several occasions. Jimmie Johnson cards and collectibles are some of the most popular amongst NASCAR collectors and the sport's rabid fan base. 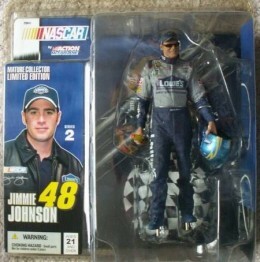 Jimmie Johnson rookie cards come from 2000 NASCAR releases, all from Upper Deck. 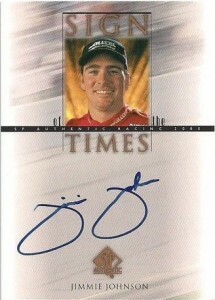 Among his first cards is an autographed insert in 2000 SP Authentic. He has also had numerous autograph and memorabilia cards produced by Press Pass. The Maxx Rookie Futures subset by Upper Deck is similar to the company's Young Guns in hockey or Star Rookies in baseball and football. The card features a a close-up, upper-body photograph of Johnson in the foreground against a dynamic and colorful backdrop. 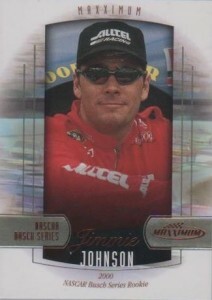 The card features another close-up of Johnson, this time donning sunglasses. The photo is framed by a blurred photograph of a group of cars heading into a turn. 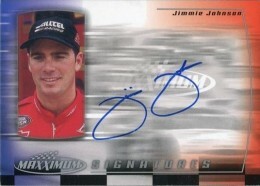 Released during his rookie season, this autographed insert has become one of the most popular Jimmie Johnson cards. Created as an insert set for the Maxximum brand, it features Johnson's signature double "J" and is signed directly on-card. 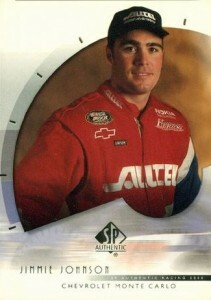 Designed to be a more premium brand, the 2000 SP Authentic Jimmie Johnson rookie card showcases a clean, crisp design. He also has an autograph insert in the set. A simple design shows a head shot of Johnson and his autograph on-card. There is also a Gold parallel version, which is serial numbered to 25 copies. This is a classic Upper Deck designed card with lots of foil. 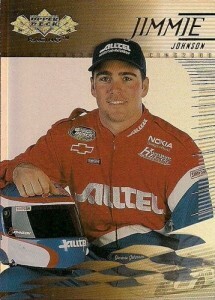 Johnson is photographed sitting with his race helmet. 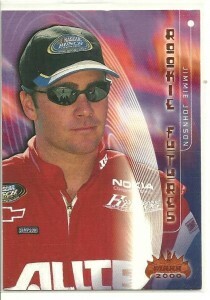 This is the quintessential Jimmie Johnson rookie card. 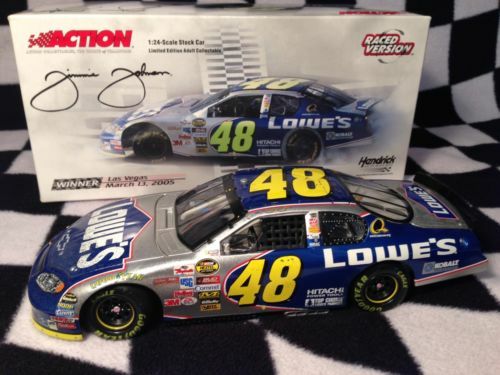 Below you will find examples of what an authentic Jimmie Johnson autograph looks like. This can be used as a first point of reference for determining the legitimacy of autograph memorabilia, but is not a substitute for having your items authenticated by a well-respected professional autograph authentication company. Some of the trusted sources within the sports memorabilia market include the following companies: PSA, JSA, Steiner, Tristar, NASCAR and Mounted Memories. Click on any of the images below to view full size photos. Regardless whether he is signing his full name or initials, Johnson's letter "J" is very distinct, typically matching, over-sized and consisting of a closed circular loop. When using his full signature, as in example #1 above, all of the letters are clearly distinguishable. His signature is typically written on a straight horizontal plane. 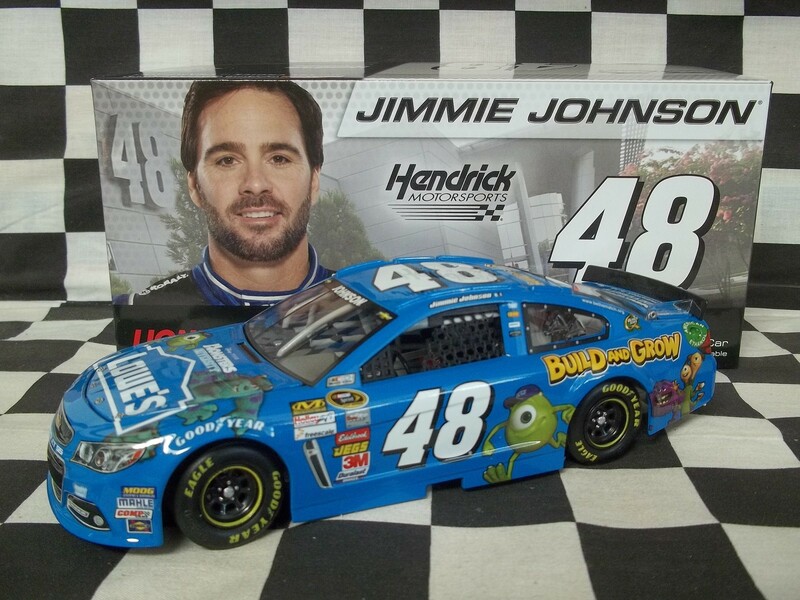 Diecast cars are a collectible niche in and of themselves. 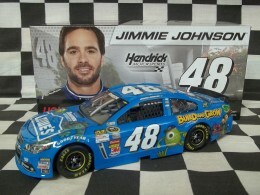 Jimmie Johnson has had numerous cars created over the years in different degrees of quality and scale. 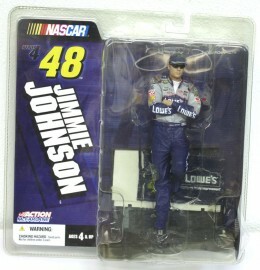 Jimmie Johnson has had three McFarlane SportsPicks figures created. 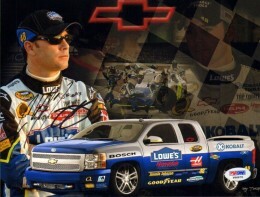 He appears in NASCAR Series 2, 4 and 6.